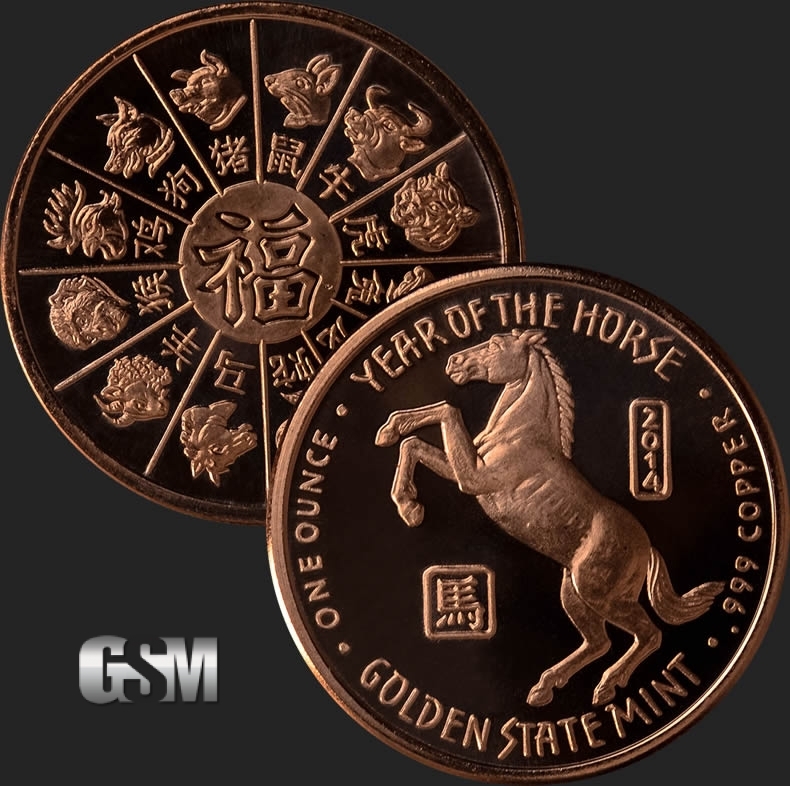 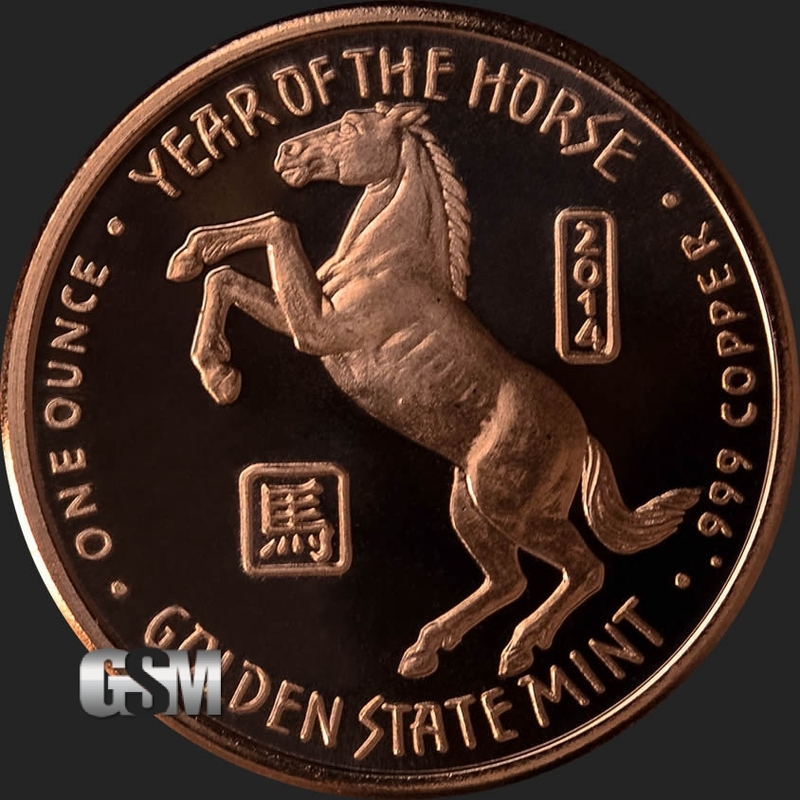 The Year of the Horse round created by Golden State Mint to commemorate the year of 2014 is 1 AVDP oz of .999 fine copper bullion. 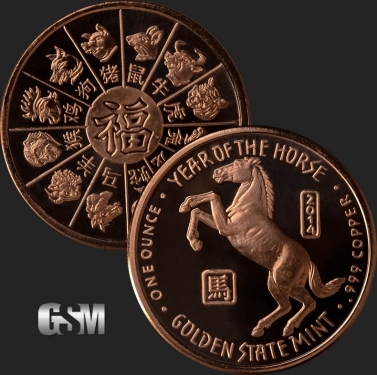 The front face (obverse) of the Year of the Horse round shows a horse with the Chinese character for Horse embossed to its right. 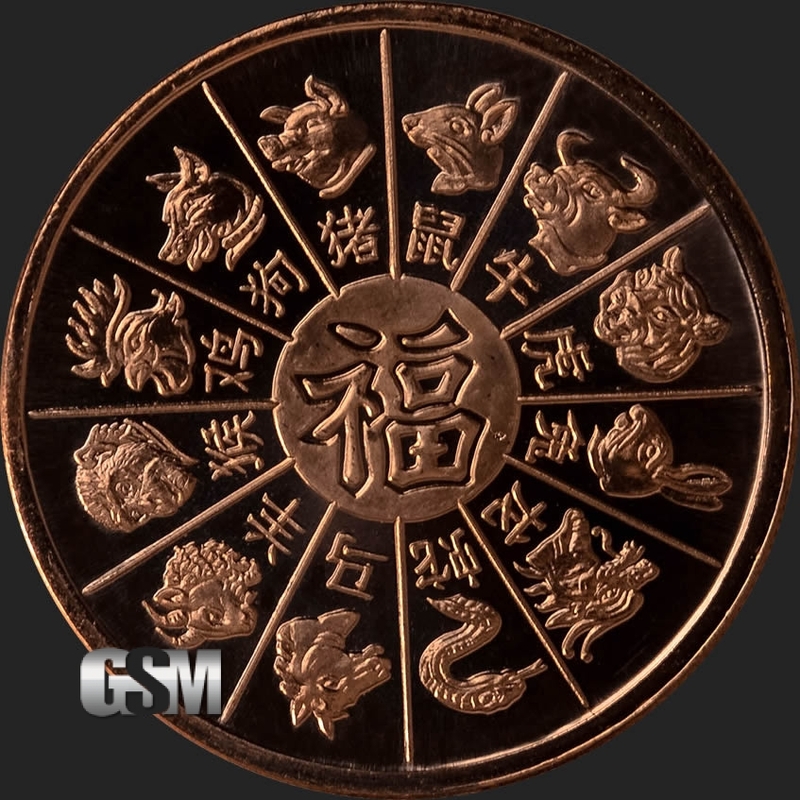 On the reverse, the twelve animals of the Chinese zodiac are laid out in a circle, one for each month of the Chinese lunar year. 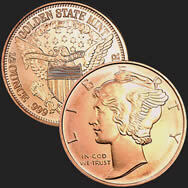 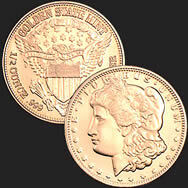 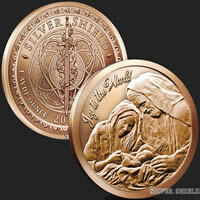 Freshly minted only using copper of 99.9% purity, this un-circulated copper round shines with a beautiful brilliance in the light.